We are a long-established family dental practice in Grande Prairie dedicated to serving the community and surrounding areas. Our goal is to provide you and your family with a comfortable and pleasant experience from the moment you book an appointment for the completion of your successful dental care treatment. 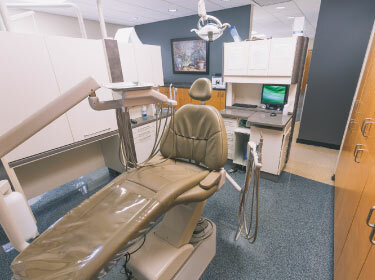 Our office is a modern and welcoming space, so you can be at ease no matter the procedure. If you have any questions on scheduling, financial matters, insurance or aftercare, please call us directly. Our team is here to help make your visit as quick, simple and efficient as possible. The best compliment we can receive is referrals to family and friends. We openly welcome new patients. 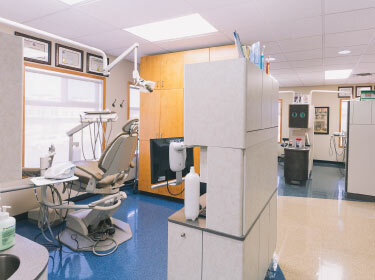 Whether it’s your first or twentieth visit to Higson Dental Group, you’ll be treated with the utmost attention and care. We are honoured and grateful to be a favoured referral for many of our existing clients, and we love to meet new patients who find us on their own. Our goal is to provide you and your family with exceptional dental care for a lifetime, so we want your first visit to be a great one. Your initial visit will consist of dental cleaning and a thorough examination, followed by a consultation with one of our dentists to discuss your diagnosis and/or treatment options. Recent radiographs from your previous dentist. Medical and dental insurance information. In some cases, we can perform procedures on the same day as the consultation. However, more complex cases will require an evaluation and a second appointment dedicated to the specific treatment. It’s happened to all of us—whether it’s a broken tooth, abscess or an excruciating ache in your mouth, dental emergencies need attention right away! We do our best to get patients in as soon as possible to deal with any discomfort they may be experiencing. Call us as soon as you feel pain and we’ll work to take care of your needs. To help the process move swiftly, it’s extremely helpful to forward or bring, any existing x-rays that your dentist or physician may have on file. If we need to take more x-rays we will do so at our centre. If applicable, please bring dental insurance information to your first appointment so we can store this information in our database and file claims on your behalf. Having your Alberta Health Care number on hand is also invaluable in the cases where we may need to prescribe medication that requires this number.